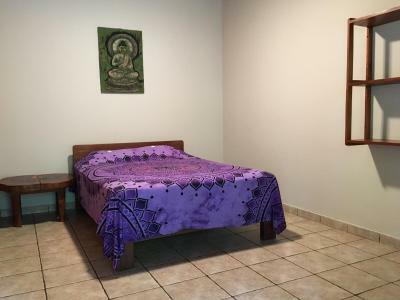 Lock in a great price for Casa Zen Guesthouse & Yoga Center - rated 8.2 by recent guests. 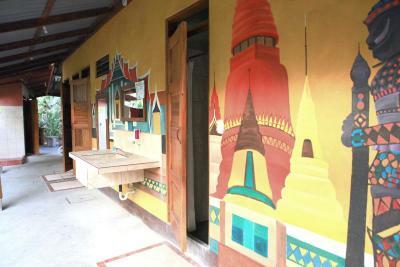 Excellent location and great for affordable yoga lessons. Breakfast was small but nice. Stayed in dorms but plenty of shared showers and toilets available. Vibe was nice and people friendly. 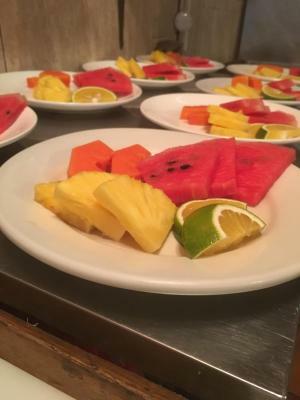 The breakfast is good, fresh fruit plate, and tea and coffee, there is a supermarket just up road and 2 kitchens so you can cook if you want or they'll do you extra toast if you're still hungry. Staff are friendly and helpful. 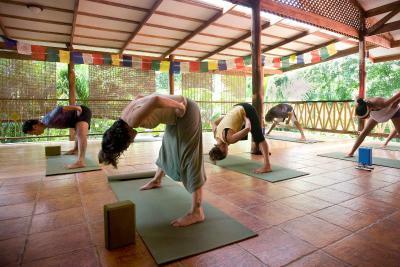 I enjoyed doing yoga, I particularly liked the vinyasa flow class with Jen. Howler monkies seen whilst lying in hammocks there and there are lots of iguanas,look out for Pedro the large male iguana. 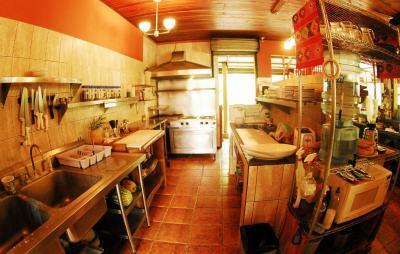 Good breakfast, good localisation, stuff ok, clean, big and easy room, everything what you need is in this place. I really liked that the dorm was a women’s dorm! It’s very close to the beach and they are renting bikes. The breakfast was nice but for us it wasn’t enough so we had to cook ourself to boost it. The location is good tho. Great, nice, helpful staff. 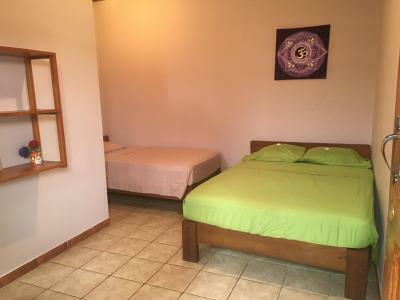 Excellent location in the Playa Santa Teresa area. Relaxing atmosphere. 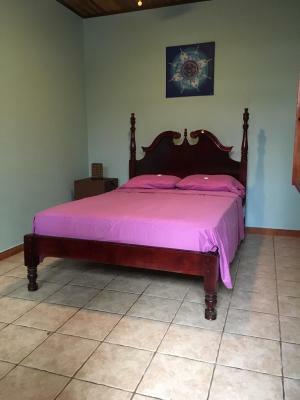 Nice room and bed. Iguanas on the property. Grocery store on the corner. 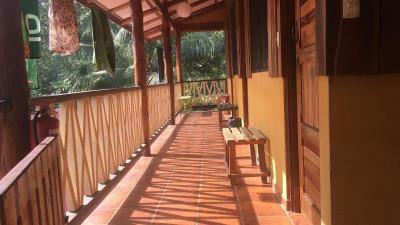 1-2 minute walk to the beach (depending on if you're barefoot or not). 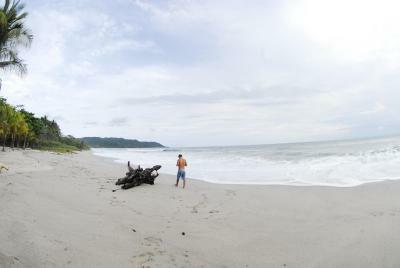 Excellent beach down the road, relatively low number of people compared to the surfing areas. 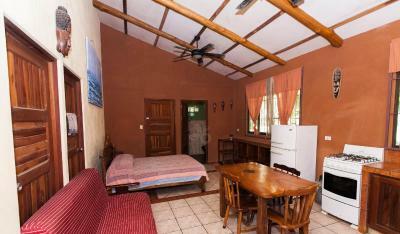 Perfect location 2 min from the beach, a supermarket and restaurants. Free breakfast (fresh fruits and toast, coffee). 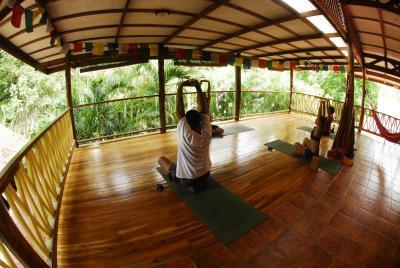 Super chill atmosphere, lots of space to relax, beautiful yoga deck! 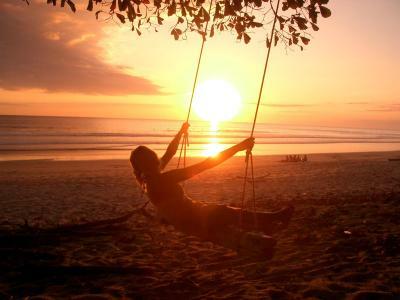 One of our bestsellers in Santa Teresa Beach! 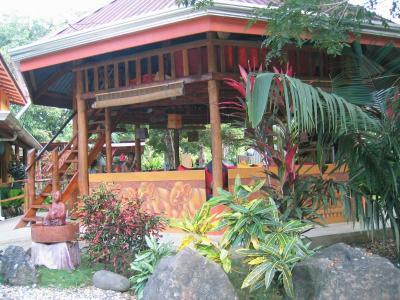 Casa Zen Guesthouse and Yoga Center is located 50 yards from the beach. 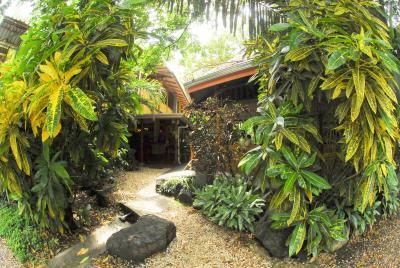 It features a yoga deck, free Continental breakfast and Zen inspired décor. 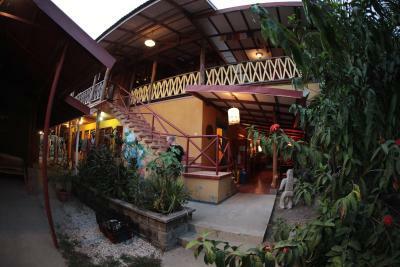 Guests at Casa Zen Guesthouse and Yoga Center will find a variety of restaurants within 50 yards and supermarket 30 yards away. 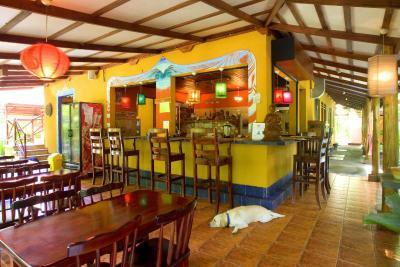 The property has spacious common areas where you can relax, read or socialize with other guests. 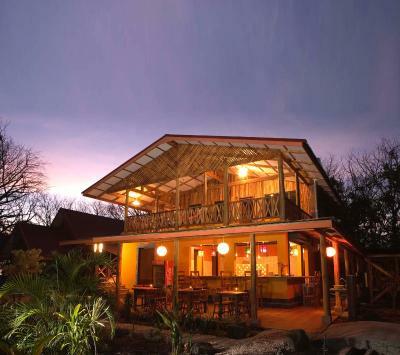 The extensive garden offers outdoor lounges and activities such as surf lessons, yoga classes, snorkelling and zip lining can be arranged on site. Bikes for rental are available as well. 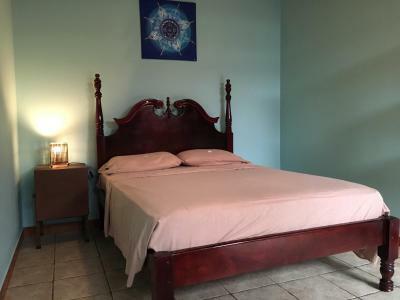 This property is 18.6 miles from the Tambor Local Airport and 3 hour’s drive from the Daniel Oduber International Airport. 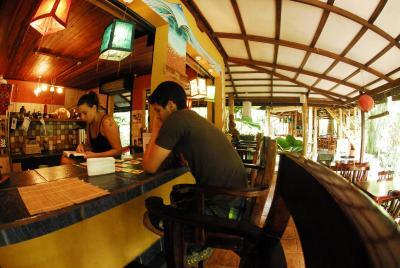 This is our guests' favourite part of Santa Teresa Beach, according to independent reviews. 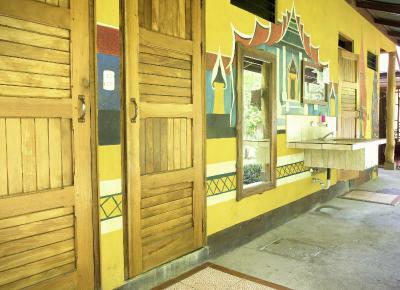 Casa Zen Guesthouse & Yoga Center has been welcoming Booking.com guests since 13 Jun 2013. When would you like to stay at Casa Zen Guesthouse & Yoga Center? 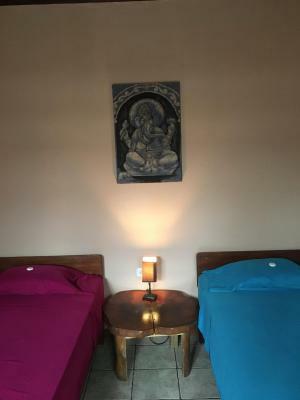 These rooms boast a fans and a safety box. They have shared bathrooms and common kitchen. 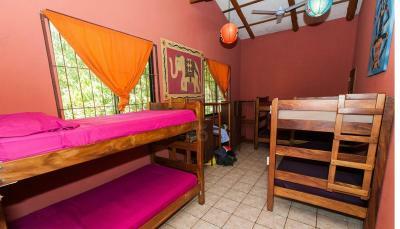 These rooms have 1 double bed and 1 single bed. 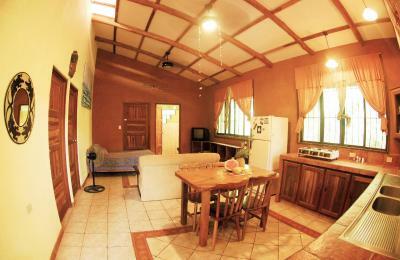 They are bright and airy, with vaulted ceilings and feature shared bathrooms and common kitchen. 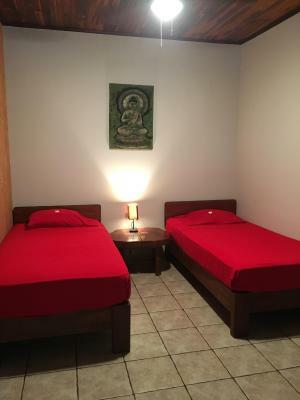 Private rooms with 2 single beds. 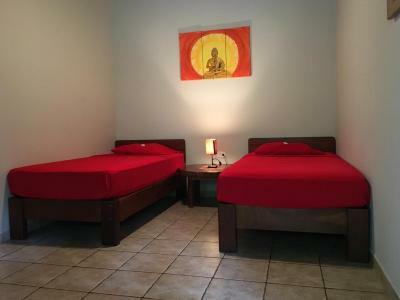 These spacious rooms have comfortable beds, fans and a safe. 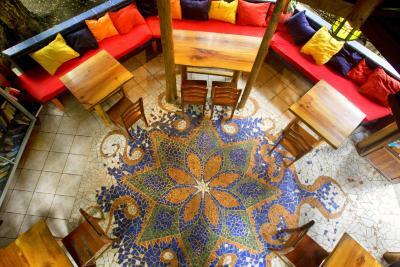 Each has its own Zen-inspired tropical decor, hand-painted by a local artist. 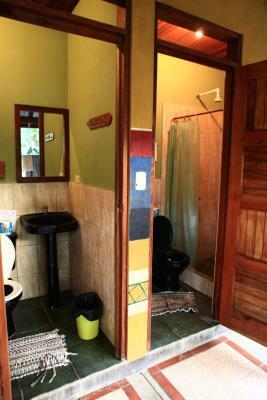 The bathroom is shared and there is a common kitchen. 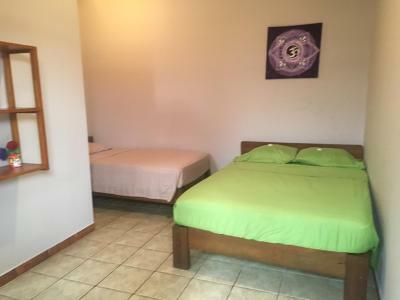 This studio features a fan, sofa, safety box, a desk and a private bathroom with free toiletries. 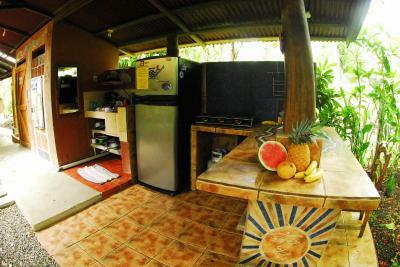 The kitchen comes with coffee maker, fridge, stove and dining area. 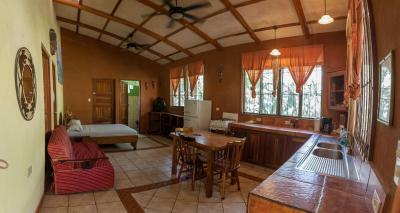 It is equipped with a TV and DVD player, and garden views as well. 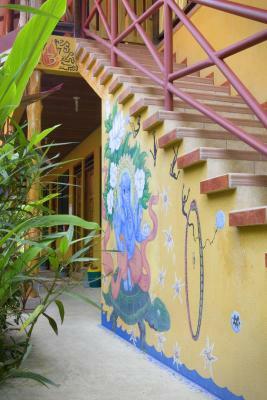 House rules Casa Zen Guesthouse & Yoga Center takes special requests - add in the next step! 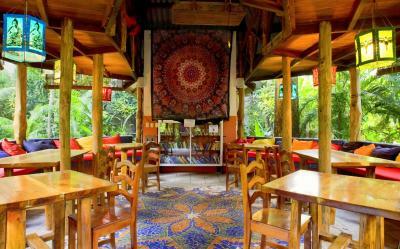 Casa Zen Guesthouse &amp; Yoga Center accepts these cards and reserves the right to temporarily hold an amount prior to arrival. 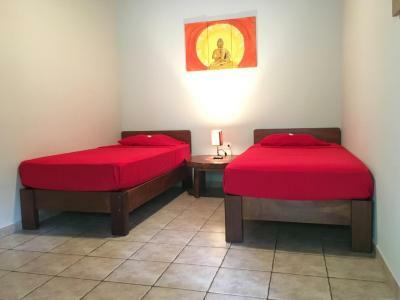 Casa Zen Guesthouse & Yoga Center accepts these cards and reserves the right to temporarily hold an amount prior to arrival. Loved the community of people there! 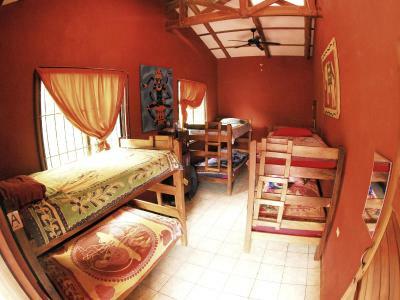 I stayed in the girls dorm and despite being quite big it was incredibly hot. There are no windows and the fans were simply not enough. I found the lady at the reception extremely unfriendly, but perhaps that was just me! 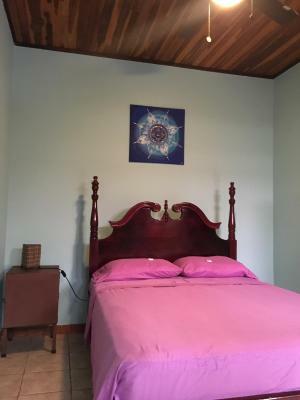 The WiFi is a bit hit and miss, it's fine for email or Facebook, but if you need to downlaod/stream or the signal drops on and off in the bedroom I was staying upstairs. 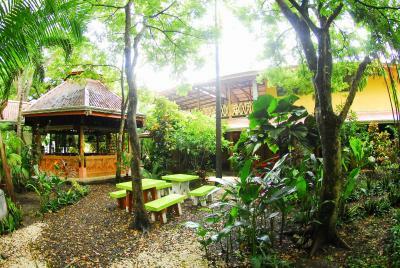 It’s an hostel for beach bums, young guests and yoga lovers. The people next to our room speaked and listened some Rolling Stones music up to 2am...we didn’t appreciate at all...no breakfast before 8am...help yourself with a banana! The guy at the lobby was fully helpful! 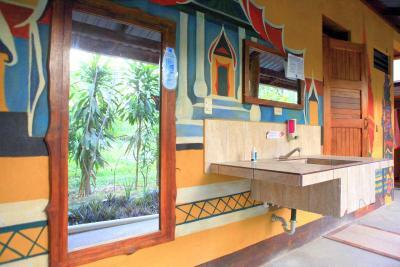 - There were not enough bathrooms/showers for everyone (you sometimes have to queue). The showers were cleaned only once every day/two days... - No wifi in my room, the signal was too weak, and the internet connection wasn't stable, but that was probably because of the location as most of the hotels had issues - The breakfast was really light, fruits + one slice of toast... I had to buy my breakfast after eating it! In theory this place was perfect. 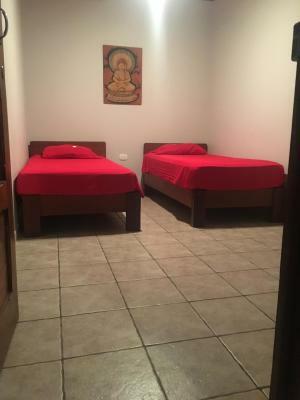 Clean and nice room, space for cooking, good localisation close to the beach, laundry service, many toilets and showers, hammocks but... This place in name has zen.. and joga.. 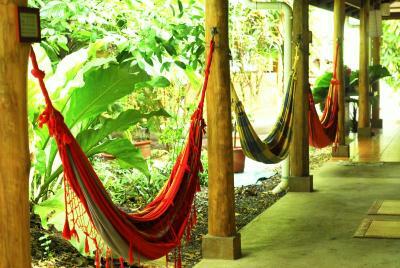 But for me it was really hard to relax there. During one evening I heard music from joga lessons, music from speaker, sound from tv series from reception and people playing on guitar (what was nice) but it was hard to relax with so many voices from around. During the breakfast cleaning staff was cleaning breakfast area, so there was not enough place to seat, in second day we could seat but they were cleaning between us, and in the next day some guy was polishing and painting some metal blinds, I know that it is necessary but why during breakfast? For sure very loud place, forget if you would like to sleep longer than till 6. It is ok but then you need to wait 2h for really nice but small breakfast. Toilets were cleaned even few times during the day but.. they were very dark and still with plenty of water, what was making this feeling that they are ugly and dirty. I am still recommending this place! But sometimes is good to say something.. this place has a potential! Breakfast was excellent! We loved that yoga was accessible there and the environmental awareness. The staff was really friendly and we felt safe. The crowd was also fun and we ended up having a perfect stay! The lady at the counter was not very friendly. 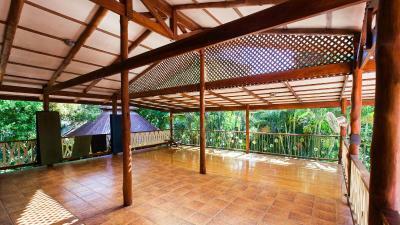 Overall the property was really good constructed. So calm and so close to the beach. Toilets and showers were not very nice. I booked a female dorm but in the middle of the night 4 guys entered the room so it was not a female room. I was scared because I had not got any information that they have booked in guys at the female dorm. I didn’t had to pay for the night tho and the manager was great tho but it was a very unpleasant surprise for me.